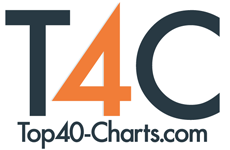 New York, NY (Top40 Charts) Here at Top40-Charts.com we are quite aware that our visitors do not like ads, and we don't either. Which is why for the last 11 months we have been offering an ad-free option at a low price ($5/year). We also offer two weeks of ad-free browsing for any new free account registration. Today we take a further step by reducing the amount of ads we have in our news section by about 75%. This is enabled for all visitors, logged in or not. We are also removing the ads coming from the disqus commenting platform. This is effective across the site (not just the news pages) for all visitors and registered users (paying or not). We hope you enjoy the experience! To share some feedback, head over to the members page and use the chat function (icon at the bottom right of the window) to talk to us. To support our efforts against ads (and towards better content and services), consider signing up for the fully ad-free option. George Ezra Returns To UK Singles' No 1 With "Shotgun"
Recording Artist Surauchie Releases Music Video For Caribbean Influenced R&B Track "Time"
WaterTower Music To Release Two Albums Of Music From The Romantic Comedy "Crazy Rich Asians"
Raayon Releases Music Video For Debut Single "332 Miles"
Troye Sivan Shares New Track "Animal"